Power Rangers Wild Force takes place in a city known as Turtle Lake, where evil creatures of the past called The Orgs have returned from their long slumber to cause havoc on earth! As The Orgs return, Princess Shayla of the floating sky island, Animarium, summons forth a group of young adults to call forth the powers of - Power Rangers Wild Force! Together, the Rangers and their Zords must save the planet from Master Org and his minions. 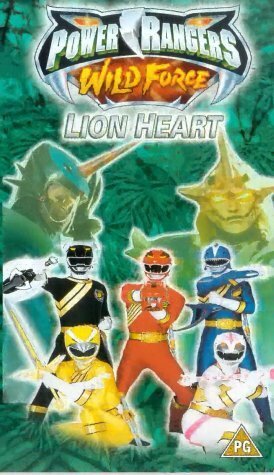 Five teenagers are chosen by five Power Animals to become the Wild Force Rangers, to fight the evil Jinderax and Toxica and their evil Orgs. These Power Ranger shows get worse everytime. A couple seconds into watching this and I laughed because it was so corny and awful. Why do they even keep making them? They get more awful every time. The original was ok and the one after that was enough. The people should stop making these. They all have bad acting and the same storyline. One more time, stop making power ranger shows! I kinda have mixed feelings about this one. There are some good things and bad things that leaves me wondering about this recent set of Rangers. The most significant improvement is the fact that the Japanese footage has been cleaned up to the point where it blends nicely with the American footage. Sometimes it is often hard to tell which is which, although there are still the little differences. The storylines are so-so. Although it is not up-to-par with "Time Force" or "In Space", it's not "Turbo" quality either. We'll see what the rest of the show has to offer. My only complain is the CGI zords (the giant robots). They do not fit in a Power Rangers show and are more suited for a Transformers show. Also, even though the Japanese footage has been cleaned up, the visual effects now look somewhat weak. It could have been liked this before, but it's kinda sad now. The final verdict is: watch it once and see if you like it. I watch it once in a while, but not enough to follow it. Chances are you'll like it or you'll hate it. It's worthwhile for a sample viewing at least.